After Notre Dame Fire, A Trendy Spire? Already Macron’s Up To Something! I suppose it was almost inevitable that Macron would start thinking of ways to exploit the ghastly inferno. It’s in his nature, as a Europhiliac pipsqueak with an outsized ego. …but instead fitted with some grotesquerie to commemorate his own glory as ‘master-mind’ of the renovation. The whole point of heritage is what a person, or a nation, INHERITS, from its past. 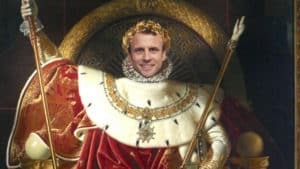 It’s just my opinion – but before Macron imposes his own, how about letting the French people choose? So, if and when he keeps his word on even that much limited democracy, why not stick on an extra ballot paper to let the citizens decide, the Notre Dame they wept for yesterday, or a cool hipster millennial monument? An interesting change of theme, Ross, and I am with you on this as on most subjects you like to write about. When Windsor went on fire, did we make the Queen restore it with furnishings from IKEA? Nothing against IKEA but that would have been glaringly, laughably, out of place. Thank you, Fiona, you say it in English much better tham I am able to say it. Macron must not be free to remake Notre Dame with a ‘modern’ spire or modern anything. It is an ancient treasure of France and we want it back like before the fire and like all the visitors to Paris since I was born have seen it. Ross has the best idea, let the French people vote to decide. It is not the property of Macron to decide. Cultural marxists hate beautiful traditional architecture, not because of what it looks lke but because of its appeal to normal people, who identify with it as their heritage. 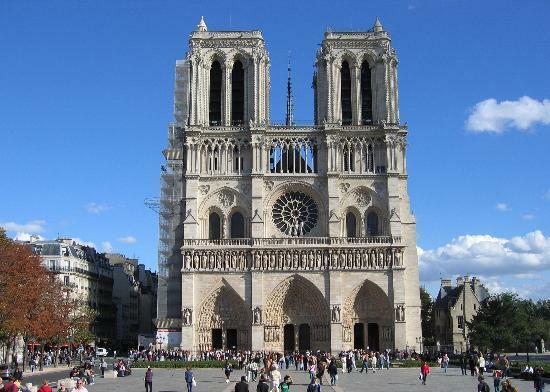 The pioneering cultural marxists in Germany focused much of their energy on architecture and while the bulk of Notre Dame is still standing and therefore not obtainable by Macron’s men, the spire is down and gives them an opening to insert something unpleasant in its place. Didn’t the invading forces build Norman towers on our English churches, as the new invading forces love to turn our abandoned churches into Mosques? Firefly, you may be tongue in cheek but it would not one bit surprise me if they wanted to instal a minaret in Notre Dame. After all, Macron’s creed is all about inclusivity, not French national pride. This made me look back at when the Sydney Opera House was built. A lot of us didnt take to it right then but it grew on us. Not the same at all with Notre Dame. In Sydney the Opera House it was brand new but in Paris it must be about a thousand years so I am told that their cathedralhas stood. You dont go tinkering with history. A Chilling Coincidence? ISIS Sow, Accused Of Notre Dame Plot, Just Got 8 Years! This vixen’s next trial (for the Notre Dame plot) begins in September. She’s just ‘ “a girl in search of recognition and love,”.says her lawyer! Don’t you just love lawyers? 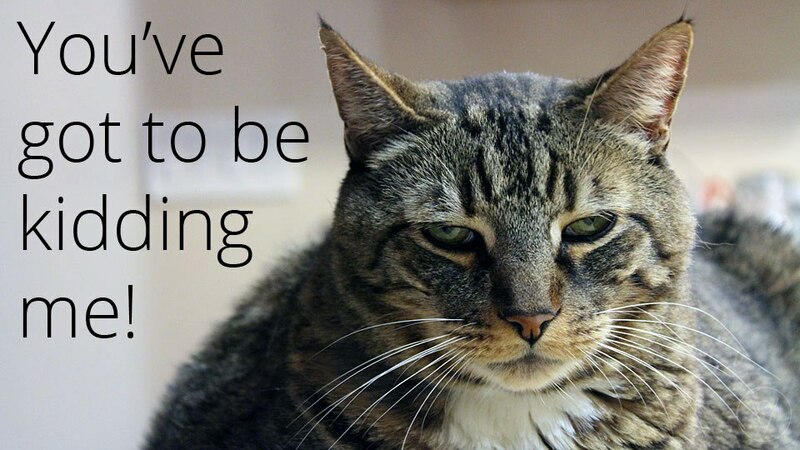 …was abolished years ago, so I will save that issue for another appalling day. …so we must accept that, until any evidence to the contrary surfaces. That is a stunning coincidence, or is it? I was just commenting on your other story about the Irish judge when this appeared and if it was on any tv news I must have missed it. It is a little eerie, if it is a coincidence! Thank you for telling us about this. I have spent a little while searching for any other reports on this ‘coincidence’ and while The Sun has a interesting piece, about Islamist gloating over the tragic inferno, the proximity of this jihadist woman’s court conviction and the outbreak of the fire in Paris does not seem to have registered with many media. Does this tell us anything we didn’t know about the media? Her lawyer’s words made me laugh. I suppose being love-sick is a fresh excuse, after the other rubbish about ‘mental illness’ has gone so stale. Notre Dame is old and famous. But it is not at all the first church in Europe to suffer harm. We know nothing can be kept quiet indefinitely in this day and age. Chilling, yes, coincidence, could be. Speaking of ISIS sows, now that sow Begum is getting tax-payers money for legal aid. The May government say they have no power to stop this outrage but they are not acting to get the power, only letting it happen. A piece of rope and a scaffold, with a state hangman and a cheering crowd, that would be a cheaper option, or would be if May wasnt in league with Brussels against capital punishment. Begum deserves a slow death but a fast one would work. We need to bring back capital punishment, for treason, at least. Incitement To Kill Babies? Suspended Fines? Flog The Savage! The sinister-looking savage in the photo is Nick Conrad, a racist ‘rapper,’ so one must question the description of the key evidence in his trial as a ‘music video,’ since ‘rap’ is hardly music, surely better described as a jungle cacaphony. Obviously the filthy swine should have been given years aplenty behind bars, ideally interspersed with regular flogging to further dissuade him from any action re-plays on his release. Surely it’s the unpleasant job of the defence team to minimise whatever punishment scum like this get? Prosecutors should be demanding he be kept in jail until the fine is paid. Something is deeply rotten in French legal system. He says he is Franco-African. We are better to say we do not need him here in France and better still, deport him to the Cameroun Republic and see what they will do to him. If a real French person said anything like that about the banlieue welfare canaille, he would be sent to the Bastille. The inhabitants were allowed to come and live in France but they are an ungrateful lot, so many of them causing trouble and like this man very hateful towards the country that took them in. 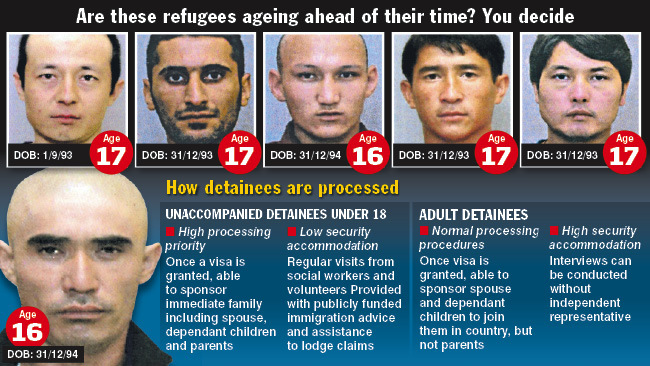 ‘Child’ Migrant Fakers Can Veto Age-Tests? Insanity! Children do not get to say what’s what. Rules are made by grown-ups and are there to be followed. EXCEPT, IT SEEMS, IN FRANCE! ..and that is good news. …but obviously a problem there too.! …after the minor in question AGREES TO the exam. We also read that, insanely, unaccompanied minors who arrive in France have the right to stay and be educated until they are 18. And who picks up the tab? …but honest hard-pressed French working folk, whose taxes are filched by Macron’s revenue-men. Some parts of the report are almost funny. In what possible way can a wrist x-ray be undignified? But let’s not waste time on that, just get this!. The uppity git should get a smack round the head and sent packing. Nobody asked him to come to France. A bit late in my day but worth waiting for. I remember that Australian report, nearly nine years ago and did anything come of it? So many countries seem to like being made fools of by these liars. That Guinean doesn’t need a slap on the head. He needs a powerful boot to his backside that’ll land him back in his own country. The strange thing is that the reports out of Calais indicate that a lot of the migrant louts and drifters there are over fifteen. Logically then, they are past puberty and that makes them not children, so they have no ‘child’ rights and they can be expelled from France. Why won’t Macron get rid of them? I am trying to take the argument stage by stage, because I thought logic was a big thing in France? I would feel sorry for the French more if we had not got the same stupid rules that give every parasite a break. France, Britain, Germany, we all have bad laws and useless governments. Speaking of break, I broke my wrist when I was 16. It was painful but when it was x-rayed at the hospital I never felt anything undignified about that. That Frenchman Toubon is a stupid berk and no mistake. What can the legislators who framed that insane rule have been thinking of? An alien should have no right at all to refuse such a simple check, and even less an under-age alien, if it is under-age. 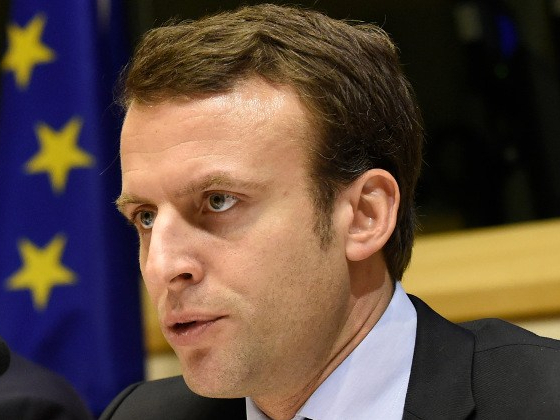 Why are the French, and other European governments, putting themselves in that position? There is no rational basis for such a situation to have been created. Nobody wants these aliens, who are often not just liars but violent and quite unwilling to assimilate. Far-Left Melenchon’s ‘Right Of Reply’ To Macron – No Fair Play For Marine? Since all three ran for the French Presidency, and Marine Le Pen got lots more votes than Melenchon, will the Guardian bow to democratic values and basic principles of fair play and offer the patriot party leader a welcome to their pages? Fair play in the Guardian? Now now, Ross, you must be on the booze. The Guardian wouldn’t know ‘fair’ if it fell over it in the street. 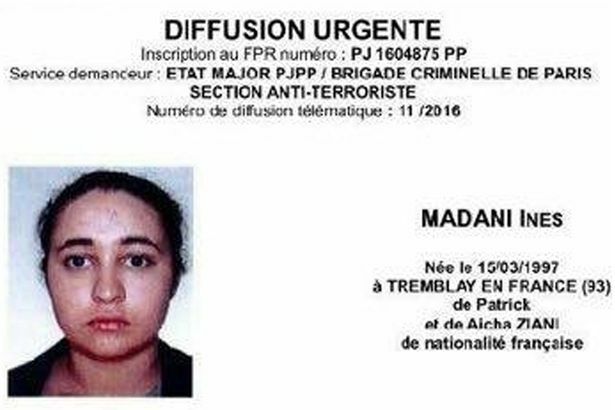 What a dreadful indictment of how ineffectually French authorities have been handling evil Islamists! That was my instant reaction to the BBC report on the sectarian violence which occurred at the top security Conde-sur-Sarthe prison. Once again, the villain was an apostate, a jihadist ‘convert’ named Michael Chiolo. Astoundingly he was afforded the privilege of conjugal visits with a shrouded bag-head – and the bint was not even body-searched! What part of the phrase ‘primitive savages’ do the politicians who direct prison policy not quite get? Even the BBC correspondent admits that it seems likely the knife was smuggled in by his partner ..why was she not properly searched? That kind of nonsense is a perfect example of the liberal obsession with ‘rights,’ and should be got rid of, as should the bureaucrat who failed to ensure the most intense surveillance of Chiolo – again, even the BBC questions why he was ‘being treated under the same prison regime as common criminals…’. If France had real leadership, and if France were not shackled to the soft-on-terror European diktats, then all these quandaries would not need to be puzzled over. France was, after all, the birthplace of Madame Guillotine! Let’s hope Marine gets her chance to put things right sooner rather than later! Very many French people who love their country agree with you. Extra pay surely, for guards who hsve to touch the filthy brutes. 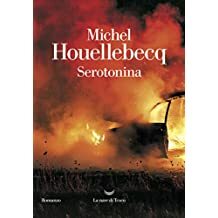 ‘Serotonin’ – A New Must-Read by Houellebecq? …was published on 7 January 2015 and featured on the cover of the satirical magazine Charlie Hebdo just before terrorists stormed the offices of the publication and shot dead 12 people. This guy’s new book could be well-worth reading. …but my French is almost non-existent. But the Guardian review makes it sound interesting, and the author, who says Trump is “one of the best American presidents I’ve ever seen”, and praised Brexit, may look a bit scary but is obviously nobody’s fool. 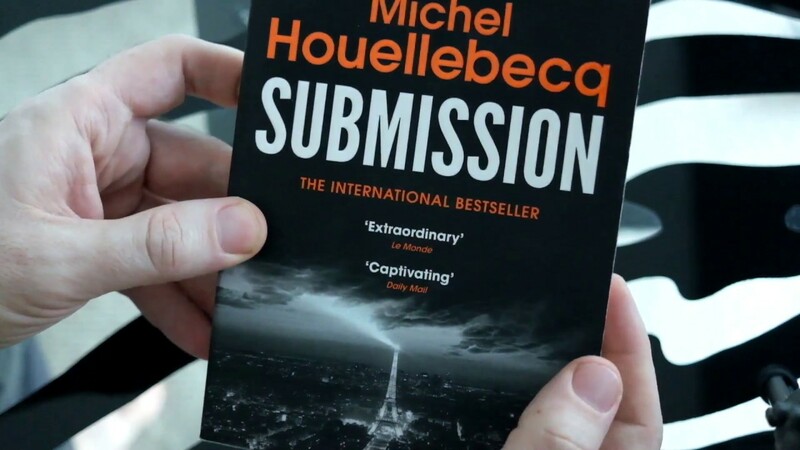 Recommended most highly, the Submission book. A book which makes bad people angry is almost certain to be interesting to read so I will look in the store for his new one. 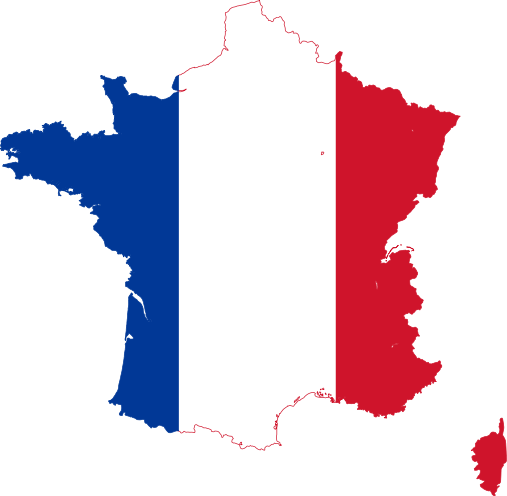 Vive La France – Let’s All Join The Fight Against That Euro-Flag! …if I get a seat!- there are times I glance at the diplomatic outposts of two historic European nations and grimace at their self-abasement, their national flags not flying aloft but kept level with that repulsive emblem of the Brussels Empire. All being well, the same shameful situation at the UK Embassy will end soon, but that edifice is well off the beaten track, so does not affront me so often. I hope a grand ceremony is arranged for the day the symbol of the EUSSR is hauled down there…. …and preferably burned in the gutter, like the dirty rotten rag it is! …has been tainted by amendment to have the Brussels banner displayed with equal prominence! French patriots are naturally incensed. There’s a petition been promptly launched and I append it for my small but valiant band of Gallic readers. I have always admired the way youngsters in American schools make the Pledge of Allegiance. The UK should mark the restoration of independence – aka Brexit – by introducing a similar daily loyalty oath. Apart from being a good thing in itself, it would provide justification for removing brats brought up to prioritise allegiance to supranational – marxist or sectarian- ideologies. If you don’t love it,leave it! We never meet but we are comrades in our common battle. Training Courses For Dumb Animals – Macron Upholds Elitist Tradition! That’s how Europhiliac politicians have always viewed the people whose taxes they soak up – dumb animals not fit to determine how their countries are run! Well, just read these extracts, one from decades back, the other from last week – my capitalisation, NB. Who the heck was THAT sexist buffoon? Jean Rey, President of the European Commission (the job Drunkard Juncker now holds) for over ten years, in the Sixties and Seventies, came out with that outburst of obscene elitism. I got the quote from an excellent Spiked.com article, which you can read on the link above. But you know who THIS is, yeah? 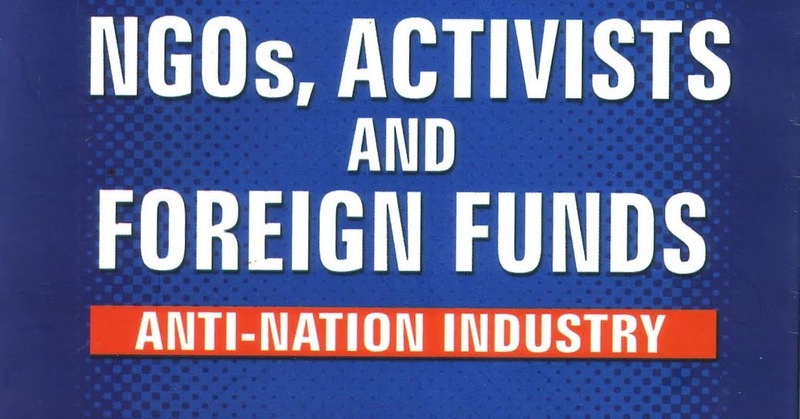 However he said he supported ‘citizen consensus conferences’ (conférences de consensus citoyen). “That means that we’re going to ask citizens their opinion, but WE’RE GOING TO TRAIN THEM. We’re going to spend several hours or sometimes several weekends TRAINING PEOPLE and telling them: here’s the truth and the falsehood, here’s how it works; now you can make an informed decision. Quite extraordinary, the condescension of those two, talking of the citizens (who in Macron’s case elected him into power!) as if they were animals that require ‘training’ until – here’s the truth and the falsehood, here’s how it works- – until they know what’s good for them. Note well, both the unlamented Belgian Rey and the ineffably arrogant Macron will decide what’s true and what’s false, and ‘how it works’ and only when the mere common folk have absorbed what’s handed down by elites and experts…now you can make an informed decision. Macron does admit that previous French governments treated democracy with disdain. 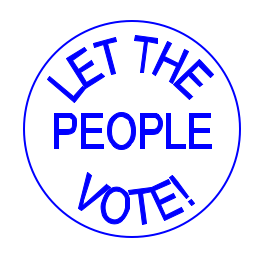 NO vote on capital punishment, NO vote on the migrant menace, NO vote on homo-marriage, ALL those key issues kept in the hands of the in-crowd. …advised that the elite would not bow to the people. …and we know what happened to her! Macron thinks we need to be trained? He will possibly think a whip, or a carrot, is needed to train us how to think and how to vote? He insults us every time he opens his mouth. They always talk down to real people from their elite positions. 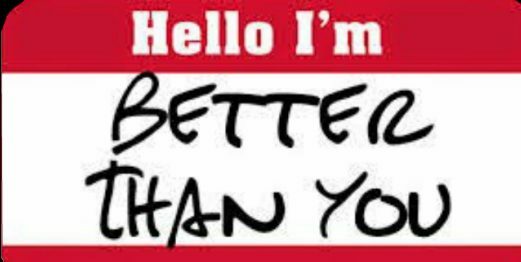 At least the old aristocracies were usually patriotic but these Macroqns and Junckers and the like are nothing, the products of mutually back-scratching bureaucracies or banking cliques. Charmless, soul-less, heartless, they need to be swept into the gutters and their rule must be replaced by real people, the populists, who talk our language and who share our values. Marine Makes Sense On Yellow Vests – France, Beware Far-Left Manipulation! Since the Yellow Vest movement is fundamentally a popular revolt, against the Elysee elitist, it’s no real cause for surprise that polls suggest their potential electoral support draws more voters from Marine Le Pen’s patriot party than from Muppet Macron’s. But the patriot leader has recognised the danger of far-left manipulation of the protest phenomenon. It is of course possible for far-left youth to grow up and switch allegiance to patriotic movements. I don’t know a lot about Shahinyan, or where he comes from, but Marine certainly has her concerns. Marxists always seek to infiltrate anything they think might promote their cause, so why would the YVs be any different? …as scenes reminiscent of past years’ mayhem committed by alien ingrates in the banlieues. However, according to the RT report, many YV followers are not prepared to follow those who may pervert their reform agenda. 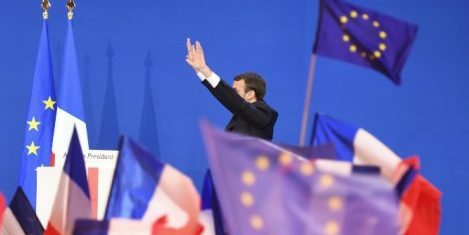 Far better, surely, if they channel their energies into Marine’s campaign to represent the long-suffering French people. She too, like them, sees proper democracy, referenda, as a way forward. And unlike Macron, she would never talk down to her fellow-citizens and tel them what they are or are not permitted to vote on.